Japanese barberry is a popular plant because it’s drought and shade tolerant, and deer resistant. It is, however, also a tick and mouse magnet. In fact, the State of Maine banned Japanese Barberry due to the spread of Lyme disease in Maine. It is also invasive and covered in thorns making it difficult to manage. On its website, the Maine Center for Disease Control says if you have Japanese Barberry in your yard, you should consider removing it. Mint is a wonderfully versatile herb and is a great addition to a savory dish, refreshing drink or delicious dessert. However, it’s highly invasive and can spread like a weed throughout your garden. Consider using a planter to contain its growth but be aware, it can become pot-bound very quickly. If you do choose to plant your mint in your garden, give it lots of room to grow and harvest it often. Aloe is a succulent plant known for its healing abilities, especially for burned skin. However, the juice of the plant is toxic to pets and can cause abdominal pains. If you have a pet, it’s best to keep this plant far away from your garden. Bamboo’s hardness and rapid growth make it one of the world’s most renewable resources. 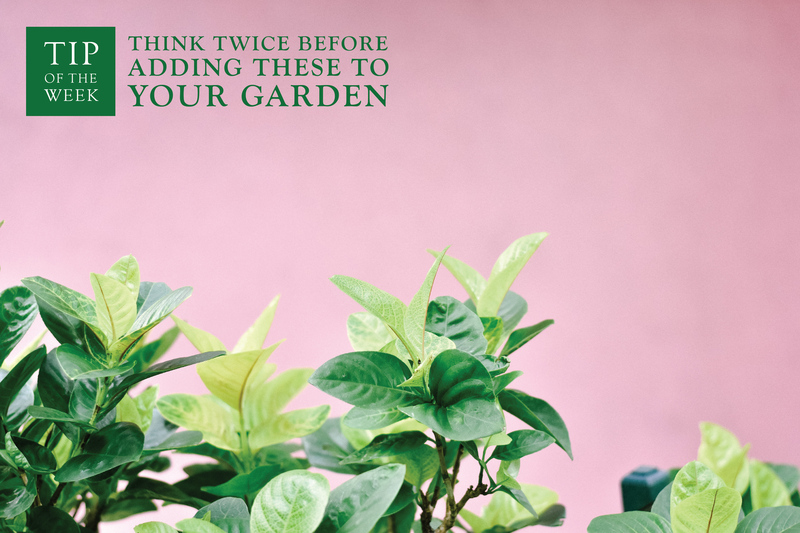 However, you should think twice before planting it in your garden for these very reasons. Bamboo can quickly overrun your yard and takes years to fully eradicate. Wisteria with its beautiful lavender blooms is highly invasive. It will engulf trees, shrubs, and anything else in its way. It requires heavy pruning every year to keep it under control and is hard to eradicate once its taken root. Leland Cypress are commonly added to landscaping to provide privacy. However, these evergreen trees are shallow-rooted and fast-growing. They need to be pruned constantly or they will quickly grow out of control – up to 70 feet. They are also prone to wind damage, disease and drought. Known for their vibrant yellow leaves in autumn, Ginkgos are a great tree to have in your yard – if they’re male. Female ginkgo plants drop messy fruit in fall that smells a bit like, ahem, vomit when they start to rot.